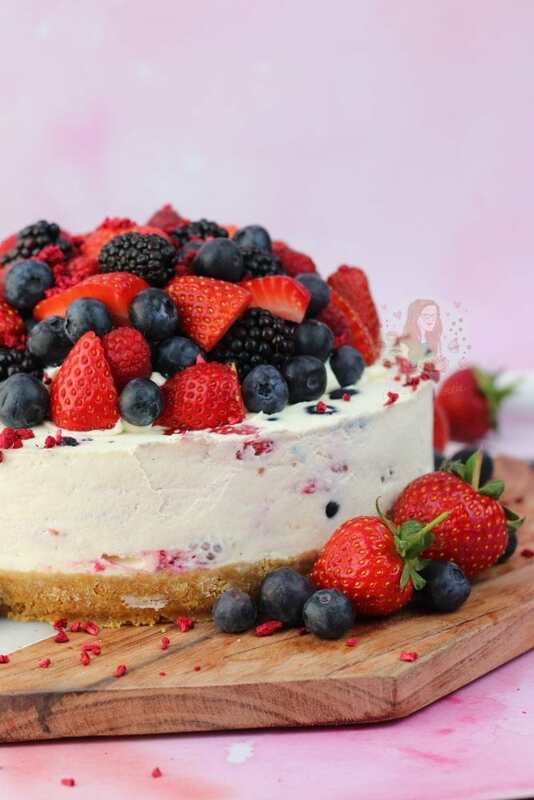 A delicious Summer Berry Cheesecake with a Vanilla Cheesecake, Strawberries, Raspberries, Blueberries and Blackberries and a Buttery Biscuit Base! 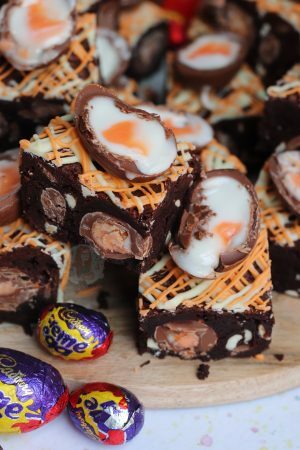 I am in loooveeeee with this recipe. 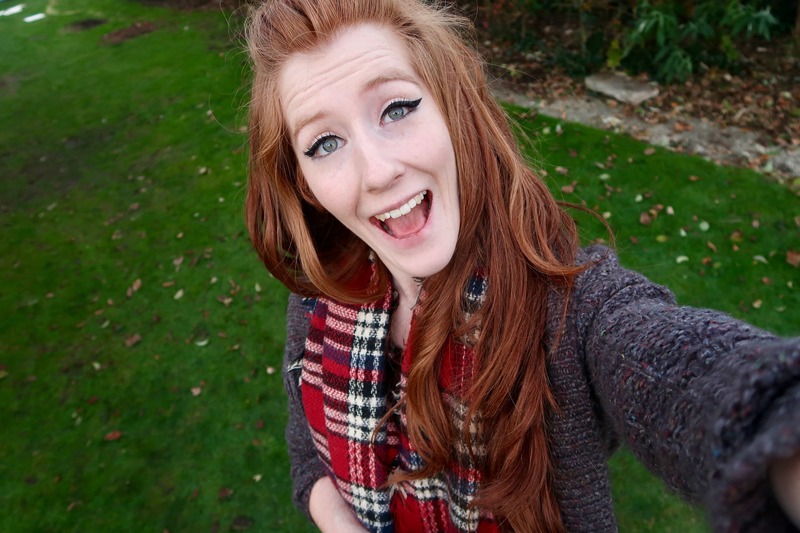 Honestly, its probably one of my new favourites. 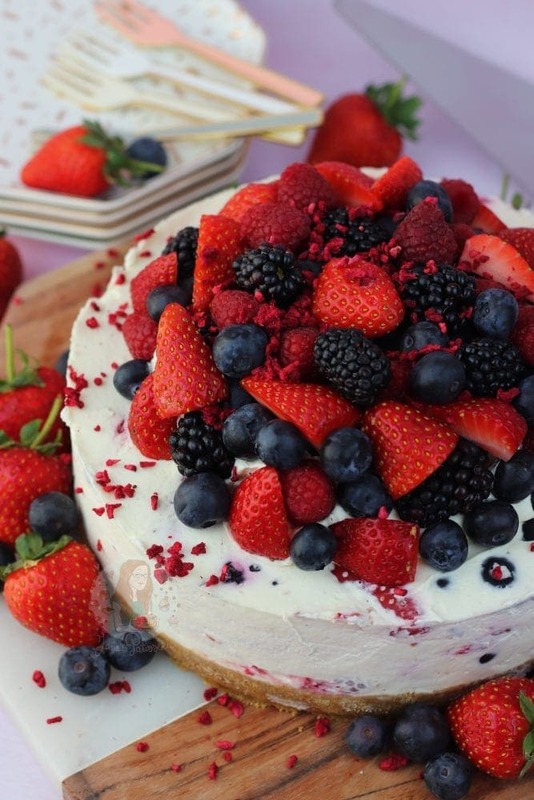 It is the epitome of summer in a cheesecake, and I love it. I realise its only nearly June, and we still have a high chance of the weather completely screwing us over for the actual summer, but I thought I would get ahead with it all. Also, after many many requests, I thought it was time to post something like this! 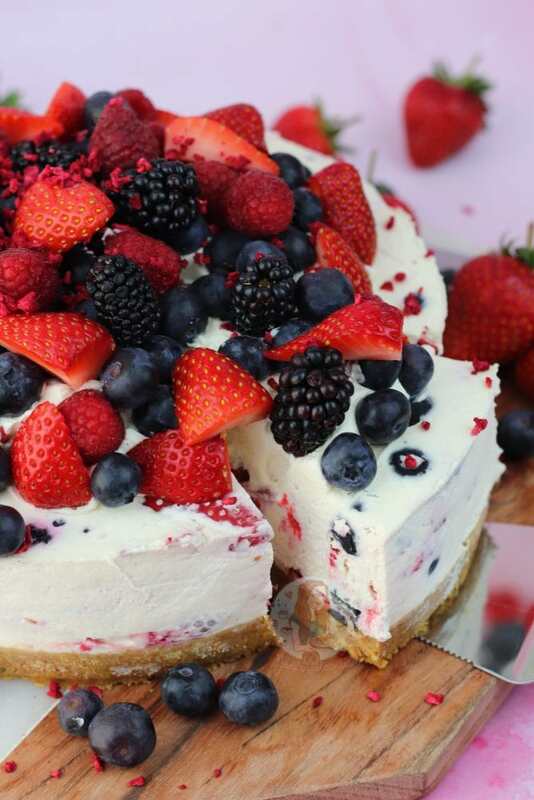 From the start, I wanted to make this a No-Bake Cheesecake because I thought it would be best for the fruit. My No-Bake cheesecakes tend to be the most popular sort of bake on my website, so I thought it would be perfect for this… and it was. 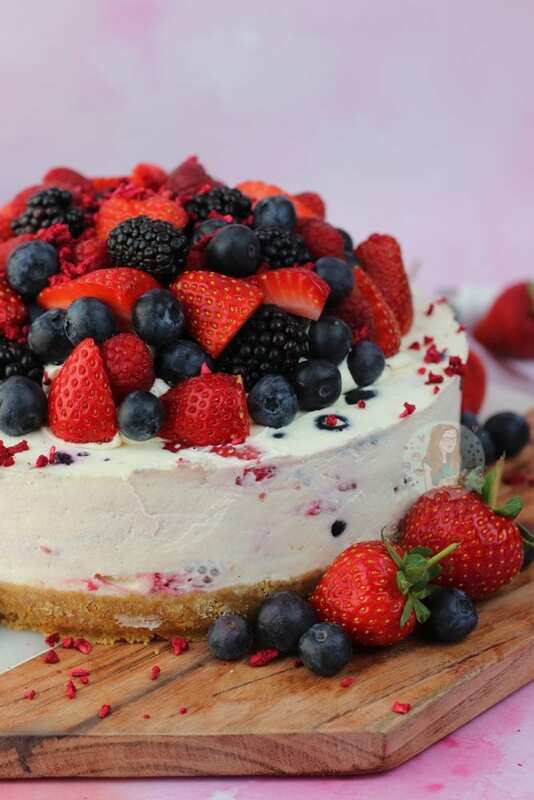 I did make the base of the Cheesecake a Vanilla one as I wanted to really taste the fruity flavour, but you could easily jazz it up by using a bit of coulis in it for example! The base cheesecake itself can be used as a No-Bake Vanilla Cheesecake, and you don’t have to do anything different to get it this way. Literally just leave out the fruit, and you have a delicious dessert. On the other hand, why would you want to say no to some delicious fruit when its in its peak season?! Honestly… eating berries out of season is just a no for me. Usually they’re imported from a different country (and English strawberries are THE BEST) or they have no taste as they’re growing them to meet a demand, despite the lack of flavour. 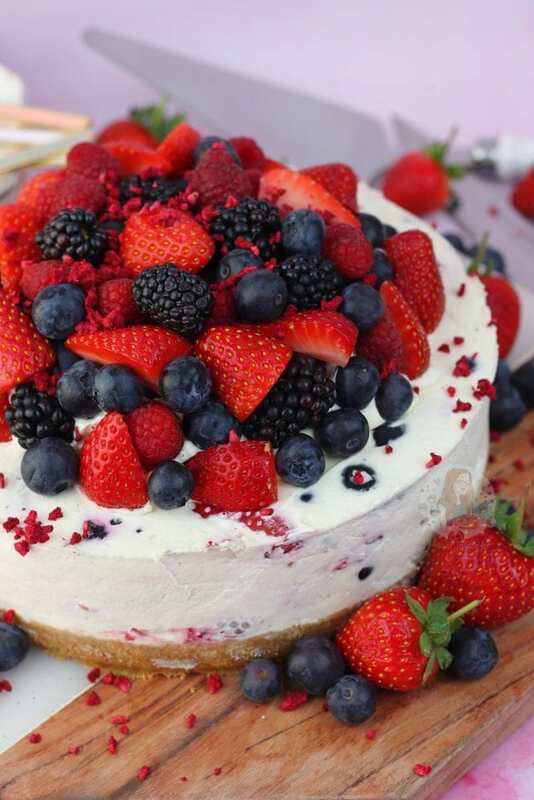 I used Strawberries, Raspberries, Blueberries and Blackberries in this particular cheesecake, but you can use all of one, or just three, or two etc. Its honestly up to you, but I love this combination. They’re my favourite berries without having to de-stone anything like a cherry. 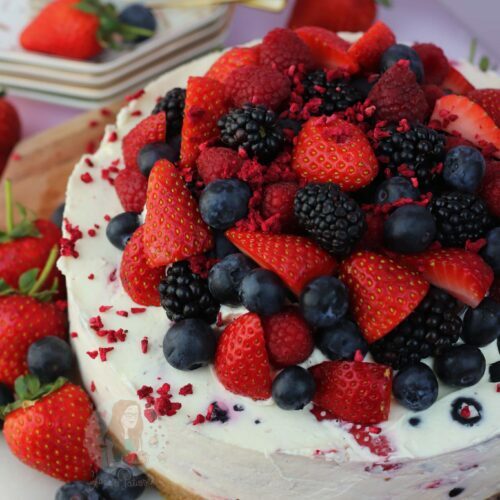 I’ve made cheesecakes like this with just strawberries, or just blackberries, and they all work equally as well. 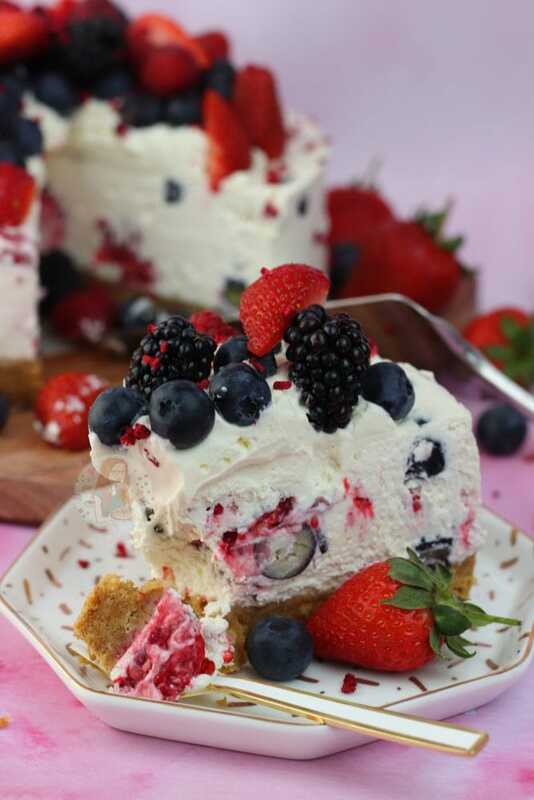 Its quite similar in a way to my No-Bake Eton Mess Cheesecake for example. I didn’t want to decorate this cheesecake like a usually do with allllll my other cheesecakes with swirls of cream around the edge. Instead I wanted to showcase the fruit itself, so wanted like a pile in the middle. 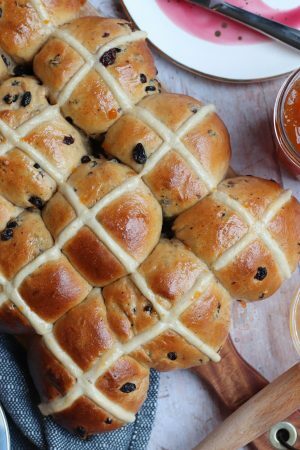 When practicing this recipe to make sure it works, I tried several things. This included literally just piling the fruit on top, but its not the most practical as it can just fall everywhere. Therefore, they needed something to stick to, so I went with a pile of cream in the middle. 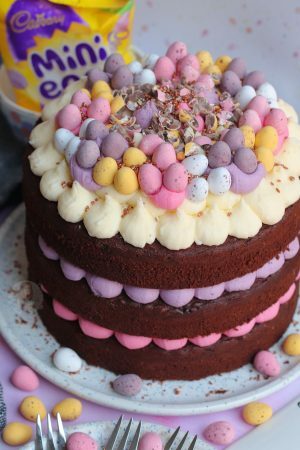 You don’t have to add the icing sugar to the cream if you don’t want, or you could use less, but its so easily adaptable. Fresh fruit is still going to be the best. I couldn’t resist the sprinkle of Freeze Dried Raspberries either as they’re just so pretty, so that happened. Prep your fruit by washing them all, and drying them carefully. Make sure your strawberries have the tops removed, and are quartered or halved if a bit smaller. In a stand mixer, add your Mascarpone, Icing Sugar and Vanilla and whisk till smooth. Add in your double cream and whisk again till thick and combined. It doesn't take that long at all, and its better to be slightly under whisked than over whisked. Once thick, add in your fruit and fold it all through. Pile the cream into the middle of the Cheesecake and flatten slightly to form a base for the fruit. 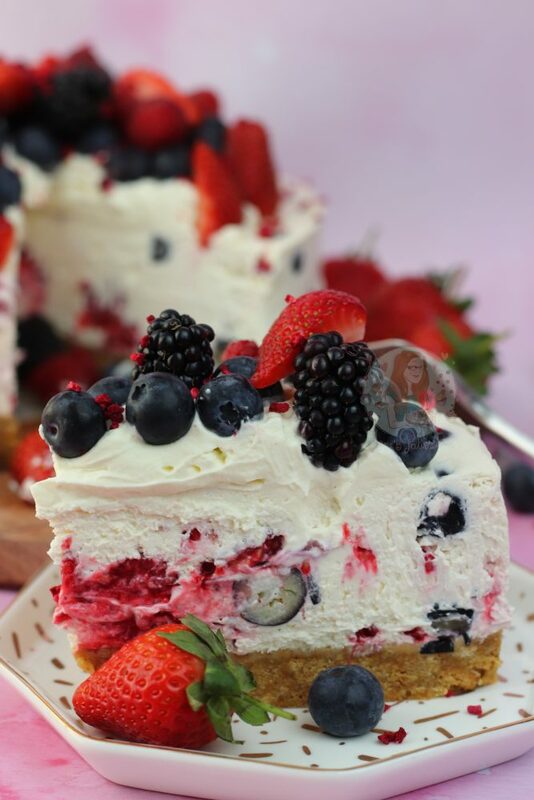 I used Strawberries, Raspberries, Blueberries and Blackberries as they're my favourite berries. I eat them pretty much daily with yoghurt, so wanted to use these - you don't have to use all of them, or you can use different ones, but I would stick to about 400g or less in the cheesecake filling. I'm not sure if frozen berries would work due to the liquid that would be produced if they thaw, but its up to you. 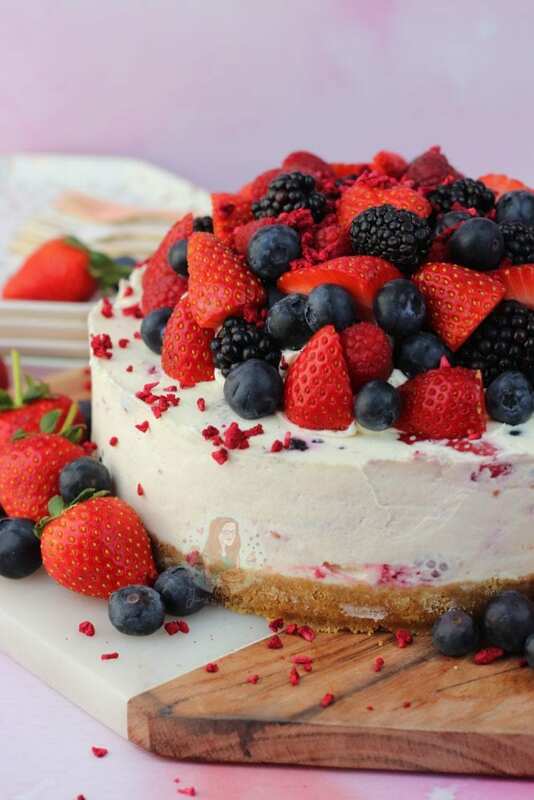 The cream on top is optional, but it makes it easier for the fruit to 'stick' to something and therefore not fall off the cheesecake. Newer Previous post: Neapolitan Macarons! Hi Jane!! How do you remove your no-bake cheesecakes from the bottom of the springform pan? My crust was a bit “squishy” and I could not get it off of the bottom without crushing the Oreo crust. I made your No-Bake Oreo Cheesecake. By the way……. the flavor was AWE~SOME!! We love it!! I would like to make more of your no-bake cheesecakes but I need to learn how to get them off of the bottom of the pan!! LOL!! Any tips and/or tricks will be greatly appreciated!! Thanks!! Made this for a friend’s bbq and it went down so well! Thanks for the recipe! 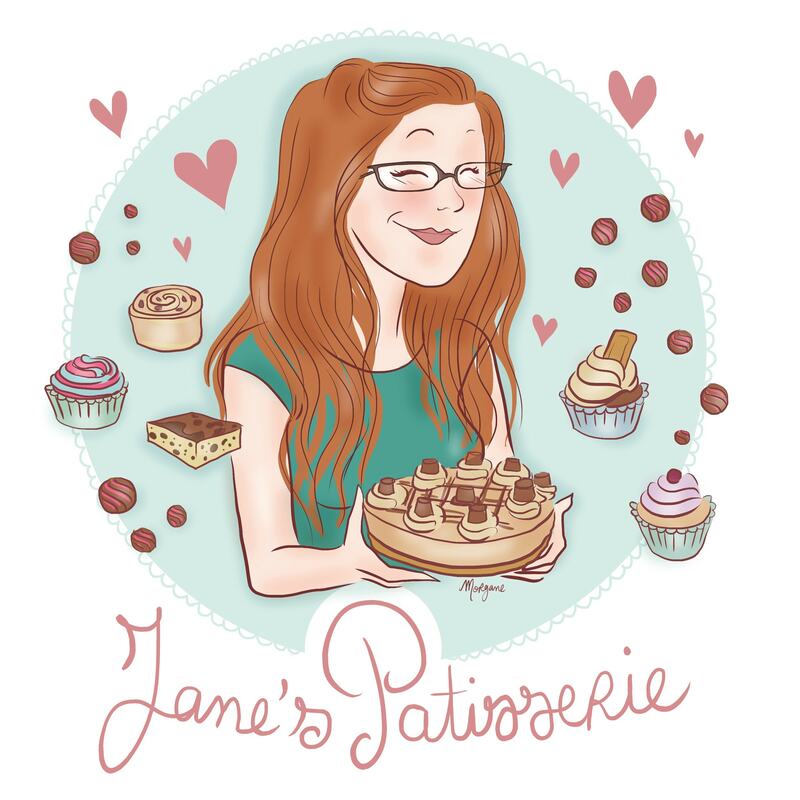 Thanks Jane, this recipe looks delicious. I will try it when I have the family to stay.